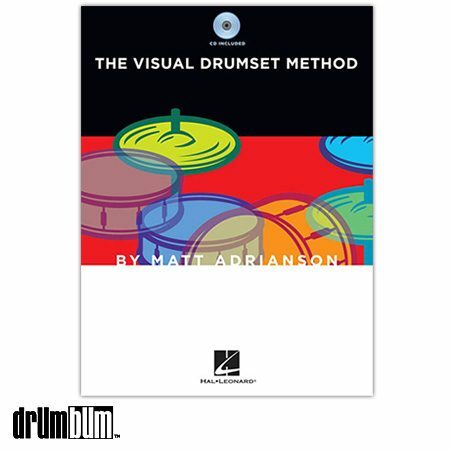 The Visual Drumset Method Book/CD – The concept behind The Visual Drumset Method is to use pictures instead of normal music notation to illustrate how to play basic drum beats. Practice along with the individual drum beats on the CD, then move on to the song tracks later on the CD, and play any of the drum beats with these songs. Hand grip, hand and foot positioning, and technique instructions are also included. Softcover Book approx. 9″ x 12″ and 32 pages.